Music • Violin virtuoso enlists Kurt Bestor to produce and arrange her new album, which will feed Utahns' love for all things Disney. Utah native Jenny Oaks Baker has released a new tribute album to Disney music. 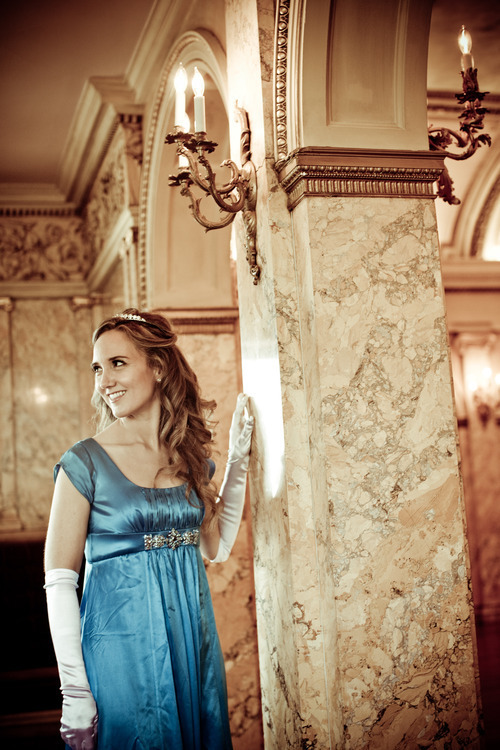 Utah native Jenny Oaks Baker has just released a new album, "Wish Upon a Star: A Tribute to the Music of Walt Disney." Cover of Jenny Oaks Baker's new album. 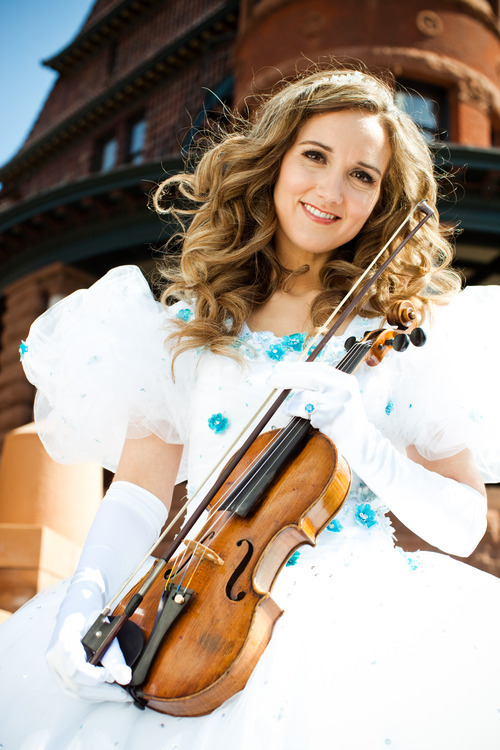 Utah native Jenny Oaks Baker has just released a new album, "Wish Upon a Star: A Tribute to the Music of Walt Disney." What is it with Disney and Utah? If you look up "Disneyland" on Google Trends, you discover that Utahns search for that word more often than the residents of any other state except for California. And Utahns, on average, look up "Disneyworld" more often than the residents of 45 other states. Most interesting is that Utahns Google "Disney music" more than any other state. That's good news for Utah native Jenny Oaks Baker, her producer Kurt Bestor, and Shadow Mountain Records, one of the labels run by Deseret Book. The classically trained violinist's newest album for Shadow Mountain Records, "Wish Upon a Star: A Tribute to the Music of Walt Disney," was released earlier this month. "It's wholesome," said Baker of her love of Disney films, theme parks and music. "It's all about dreams, hopes and wishes. There's faith there, too. Your wishes will come true." She enlisted the help of well-known Utah composer Bestor to produce and arrange the album. Bestor, a transplant from Wisconsin, continues to be amazed by the popularity of the Disney brand, not just in Utah, but also all over the world. The week before recording Baker's album, relatives of his wife, a native of Kenya, planned a visit to the United States. Bestor suggested touring some of Utah's national parks, but they politely requested another itinerary. "They wanted to eat cheeseburgers and go to Disneyland," he said. The new album follows Baker's 2010 "Then Sings My Soul," renditions of Christian hymns and other classics. The album, by the former first chair violinist with the National Symphony Orchestra, hit No. 1 on Billboard's classical charts, selling more than twice as many copies as a release by famed cellist Yo-Yo Ma. That milestone paved the way for other top-selling classical albums from Shadow Mountain Records, including albums by composer Paul Cardall and young pianist Josh Wright. Collectively, Baker's albums have sold more than 150,000 copies, charted on Billboard numerous times, and garnered multiple Pearl Awards from the Faith Centered Music Association, including Song, Album and Artist of the Year. A graduate of the Curtis Institute of Music with a master's degree from Julliard, Baker has performed with live orchestras around the world. She has enjoyed well-regarded debuts at Carnegie Hall, the Lincoln Center and the Library of Congress  not to mention gigs with the Utah Symphony and the Mormon Tabernacle Choir. For Baker, the album of music from Disney films is the fulfillment of a dream. After all, she's the mother of four children and with her husband drives 12 hours from Utah to Disneyland annually. Baker jokes about an early highlight of her life, when she met Mary Poppins at Disneyland on a childhood visit. The Baker family lives in the Washington, D.C. area most of the year, but they spend summers in Utah near their extended family and recently bought a Park City vacation home. It was in Utah that Baker decided to record the album with Bestor, who has produced and arranged many of the violinist's earlier albums. The two first met when Baker was 17 and they bumped into each other at Orem's Osmond Studios. "She really blew me away with her natural musicianship," Bestor said. He invited her to play as part of his orchestra for his annual Christmas extravaganzas. For the Disney album, the two had a difficult time whittling the song selection down to 11. Included are such classics as "When You Wish Upon a Star" and, of course, Baker insisted on a medley of Mary Poppins songs. To fill out the album, she relied on Bestor's selections of lesser-known songs such as "God Help the Outcasts" (from "The Hunchback of Notre Dame") and "Baby Mine" (from "Dumbo"). Baker wanted Bestor to arrange and produce the album because he is "really good at world music," she said. "These are not average arrangements. He feels the music so deeply." That's why "A Whole New World" has been reimagined as a sophisticated tango andwhy "Colors of the Wind" from "Pocahontas" includes American Indian instrumentation. "Can You Feel the Love Tonight?" from "The Lion King" features the influence of traditional African rhythms in a delicate orchestration. "There's so much magic on this album," Baker said. The magic continues with two appearances Baker is making this weekend at Deseret Book stores, where she'll be wearing a princess dress. Why? Because she wants to. "Not very often does a 30-year-old woman get to dress as a princess," Baker said. "I had never worn a tiara before or white gloves." To Baker, the outfit epitomizes the spirit that Disney films evoke, and the way Disney heroines are an example of virtues. "They're not little hoochie mamas," Baker said of the heroines. "They're heroines you can look up to." And guess what? Here's another Utah loves Disney fact: We Google the word "princesses" more than residents of any other state. 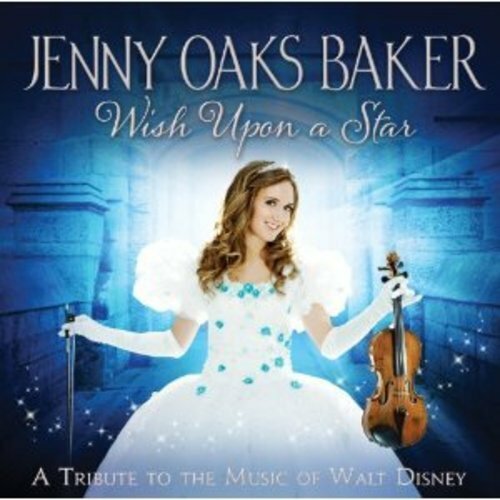 P Jenny Oaks Baker's new album, "Wish Upon a Star: A Tribute to the Music of Walt Disney," is available at Deseret Book and Amazon.com, among other retailers. 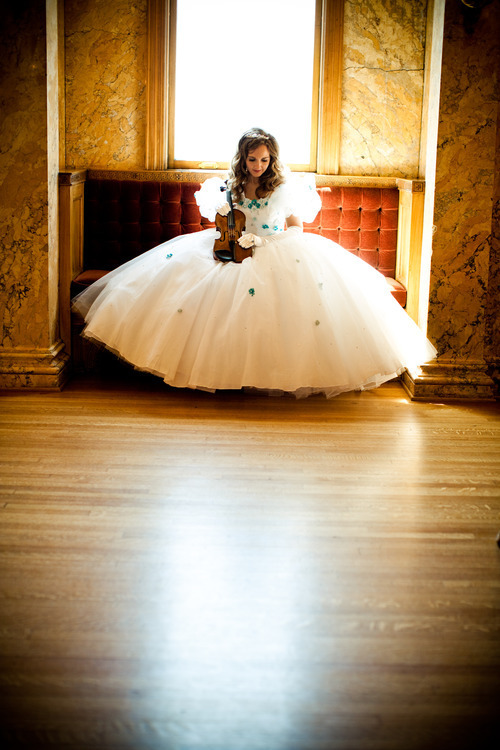 Baker will perform, complete with violin and princess-style dress, at two Deseret Book stores. She encourages young princesses to dress up for the event. When • Today, 11:30 a.m. to 12:30 p.m. When • Saturday, 11:30 a.m. to 12:30 p.m.